Wallmonkeys-inspired people themed decals give you the freedom to surround yourself with the people you love. People themed wall decals allow you to bring your favorite character, person or spiritual leader to life. We have the largest selection of people themed wall stickers online. 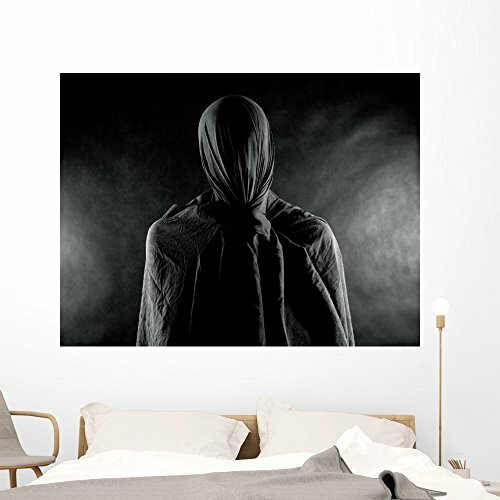 Find people themed wall decals focusing on everything from silent faces filled with emotion to sports figures bursting with action. Our premium vinyl and superior ink guarantee you the highest quality wall decals money can buy and an effortless way to add style to any room. We use the highest quality printers, ink, and materials available. Our decals are simple to install. Wallmonkeys decals will never leave a mark, or damage your walls. Wallmonkeys has the largest selection of wall decals on Amazon. Decorating your home has never been easier with tens of thousands of images to choose from. Search our collection to find exactly what your heart desires. EASY AND FUN TO APPLY. SIMPLY PEEL AND STICK - Our decals can be applied on most flat surfaces, including slightly textured walls, mirrors, or any smooth surface. Unlike lower priced competitors, ALL Wallmonkeys decals are printed FRESH for you, and did not spend months in transit from overseas. All orders print and ship within 24 hours from our production facility in Gaithersburg, Maryland. LARGEST SELECTION- Wallmonkeys offers multiple sizes for all of our decals, stickers, and murals. Feel free to browse our large selection to find exactly the decal or mural you are looking for. 100% MONEY BACK GUARANTEE- We love our decals and think you will love them, too. Have a problem? Let us know! We want you to be completely satisfied with your order. We take pride in our stellar customer service record on Amazon, and we promise to treat you like family.